Every day, the International Living Daily Postcard brings stories from expats living their dream lives around the world to our over 500,000 readers. If you’re a U.S. or Canadian citizen living overseas, we want to help you tell your story. Imagine you’re talking to your friends back home. What do you want to tell them about your experience overseas? What are the most important things you can tell someone about your life in another country? 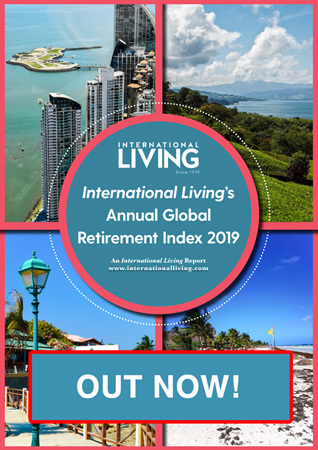 You might want to tell our readers about how and why you chose your new retirement destination…how your life has changed for the better…and what it is that you love about the place you now live in. You might be excited about the cost of living…the rich culture of your new hometown…or the warm and friendly community you’ve joined. Maybe you’d like to tell us about how you’ve availed of low-cost healthcare and dental care…have discovered a new-found love of the everyday things that you were too busy to appreciate back home…or how you’ve taken up a hobby you always wanted to try, now that you have the time and money. Whatever it is that you find remarkable about your new life overseas, that’s what we want you to tell us about. Before you get in touch, get to know our style and the types of stories we tell. You can sign up to our Daily Postcards free of charge here. Or take a look through our Daily Postcards archive. Postcards are generally a minimum of 600 words in length. But if you need more space to tell your story, take it! The important thing is saying what you need to say. If we publish your postcard, we will pay you a one-time rate of $100, including any photos you may wish to include. Please note, all editorial requests will be reviewed and considered. However, due to the high volume of inquiries we receive, not all requests can be answered personally.